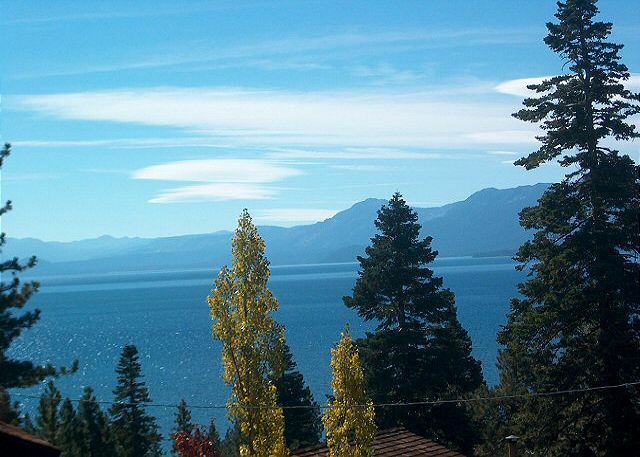 This sunny, light and bright home in Dollar Point is located high on a corner lot with views of the lake from almost every room in the house! Enjoy the large sunny deck on the top floor and relax in one of the lounge chairs or BBQ with friends and family. Cozy up next to the grand rock fireplace in the living room with it’s floor to ceiling windows and vaulted ceilings. The kitchen is fully equipped for all of your cooking needs. There is plenty of room for a large group with five bedrooms each with their own private deck. The master suite features a huge bathroom with Jacuzzi tub and shower. 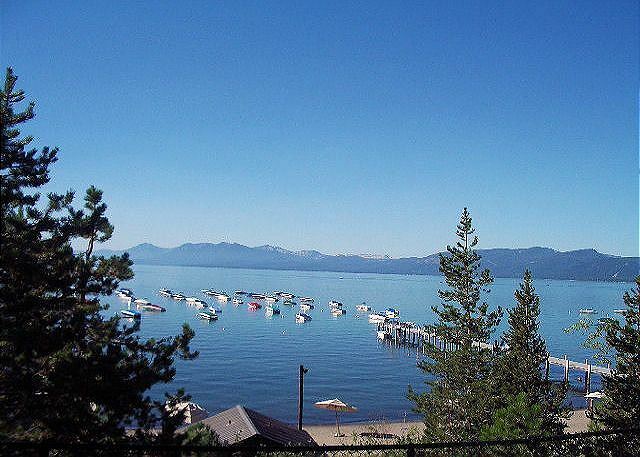 Close to Tahoe City for your dining and shopping pleasures. 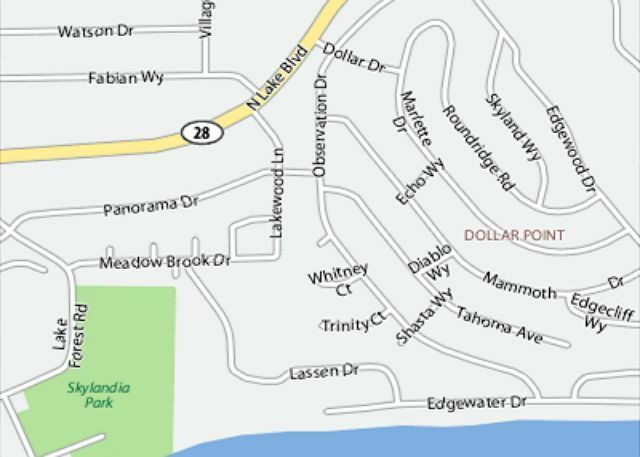 Homeowner Association Swimming Pool, tennis, beach and pier are a short drive or walk. one week summer retreat. We plan on renting again next year. The house is nice and has a wonderful deck, but having been there for 10 years we were hoping for some updates. Would be nice to have a newer sofa or at least have it recovered, the current one is dated and very dirty as are the pillows. The chair next to it is also very old, the seams are torn and some are held together with tape and or glue! Yikes. Some of the beds are newer but some are old and tired. We love the location and the overall layout and design of this home is lovely, but it could use some updates. Overall, the house was clean. The refrigerator freezer did not keep ice cream cold. The living room needs new furniture. The deck was not clean. We had to sweep the deck before use. I recommend the house. We had a wonderful time in this house. Our contact from O Neal was not very knowledgable about the internet availability, however. It took us three separate calls before we got someone who was willing to research the answer... which was yes (not surprisingly). Fantastic place, and the property management people are the best.